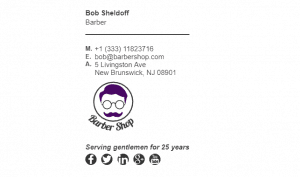 A lot of barber shops will take bookings via email. 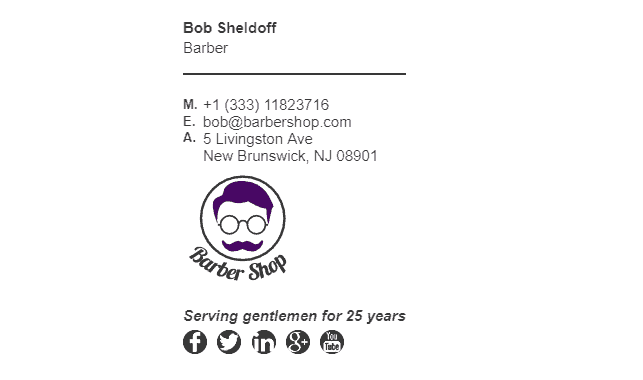 Having a great looking email signature for a barber shop can tell your customers more about your story, like why you became a barber? 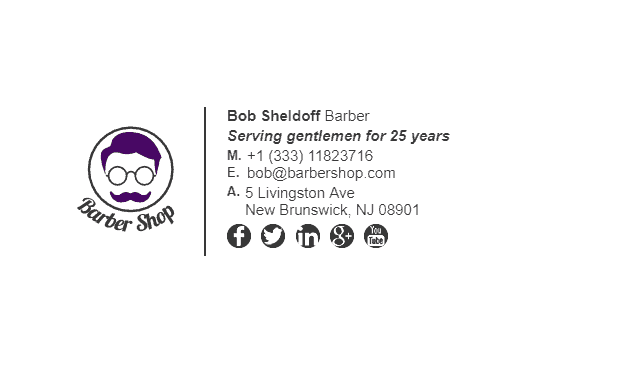 Is your family history closely tied with barber shops? 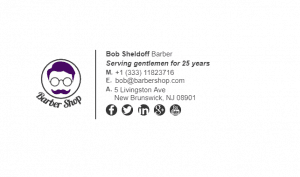 Telling a story to your clients is the best way for them to connect with you and build trust around your brand. 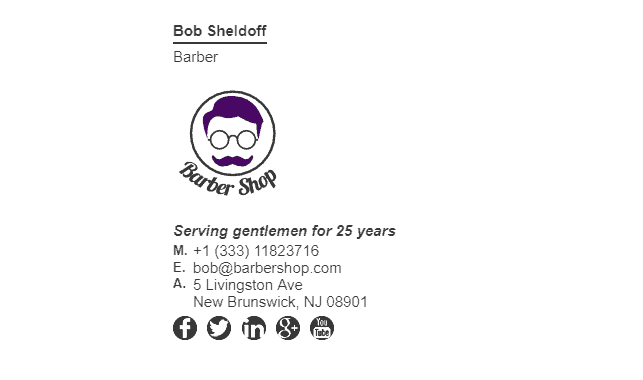 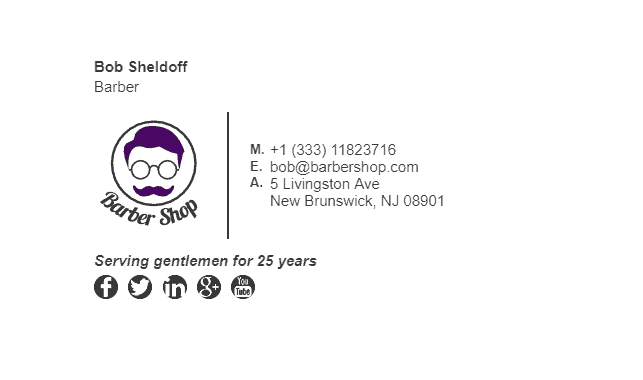 Check out our barber shops email signature examples below. 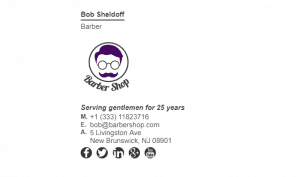 What Should Be Included in an Barber Shops Email Signature?